When beginning students enroll in an ESL class, they are likely to come in with quite a bit of anxiety. They want to learn English, but many of them will be worried that it will be too difficult, or that they will appear stupid in class. If the teacher can recognize this, and show the students a relaxed and caring atmosphere, the students will respond very well.The best way to obtain a relaxed atmosphere is through participation. When there is a lot of oral work, and when there is small group work, students soon see that they are all working together, and that it’s quite alright to make mistakes. Over the years, we always found that students loved Bingo games. Students find this very relaxing and yet there is a lot of learning taking place. The first couple of games with a card can be difficult, so we let the students help each other. After that, they know what they are doing and enjoy it very much. 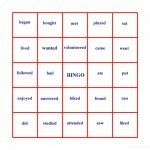 With Picture and Word Bingo, it is best to use entire sentences in the captions. Without having to even mention it, the students are learning basic sentence structure every time they hear a caption. When teaching our ESL Curriculum, we always ask oral questions. Each lesson has a list of ten to twenty oral questions, based upon the concepts of that lesson. This gives the teacher the opportunity to make personal one to one contact with each student. Students soon learn that the sky doesn’t fall if they make a mistake. The teacher can go to the board and write the correct answer if there is real difficulty. Certainly the teacher can know if one student is having difficulty with some point, there are likely others in the class with the same problem. Here again, all the questions and answers should be in complete sentences. Certainly, students can correctly answer with a simple “yes”, or “no”. We always point out that this is an English class, and that students need to practice by answering in complete sentences. In this way, students are constantly hearing correct sentences, with all of the grammatical elements and all of it in the correct word order. 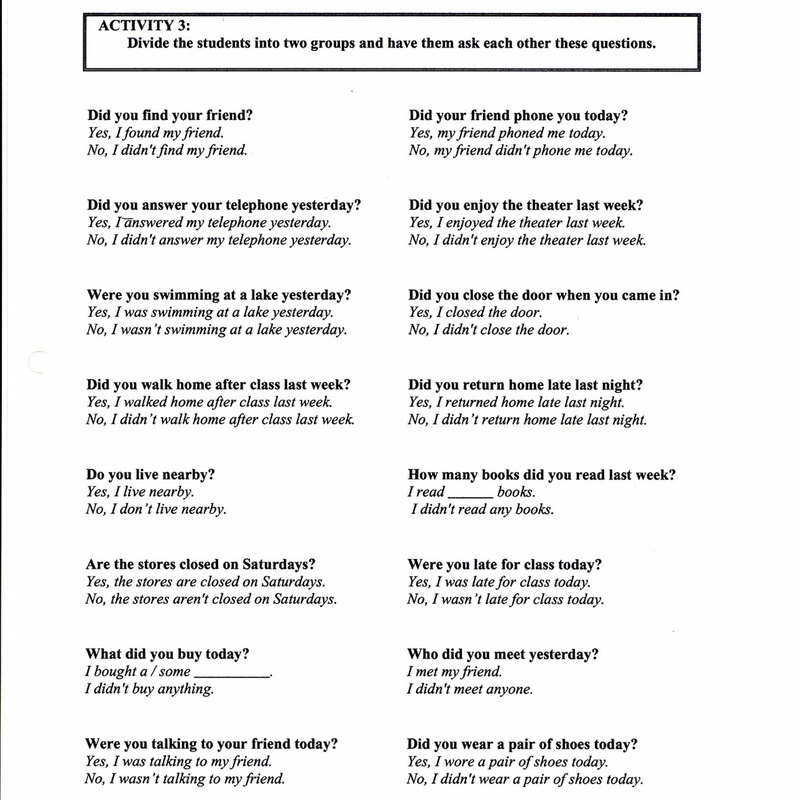 When we gave students surveys of all of the classroom activities, Oral Questions was always the most popular with all of our students. One activity that we used frequently is to have the students divide into two teams and ask each other oral questions. Make out a list of questions and answers. Cut the paper into strips, and give each student at least one question and answer. The students sit in two teams facing each other. Each student in turn asks a student on the other team their question. The teacher acts as referee and scorekeeper. If the score is kept on the board, the competition can be quite intense. The students enjoy this, and because they want to help their team to win, they will work hard to give the correct answer. -Four friends meet in a restaurant and talk about the latest hockey/football game. -Four friends are in a restaurant and they are trying to decide whether to have fish and chips or a hamburger. -There are two good movies on in town. Four friends are trying to decide which movie they want to see. By varying the “hard work sessions” with some of the fun activities, students will soon come to enjoy their classes. Remember that they are usually quite new in the country or doubt their ability to learn English language.